Flowers could be blooming on the International Space Station after the New Year. This morning, NASA astronaut Kjell Lindgren activated the Veggie plant growth system and its rooting "pillows" containing Zinnia seeds on the space station. 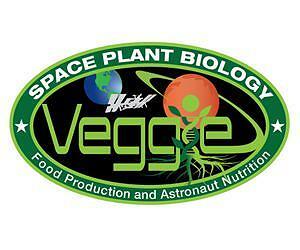 It is the first time that a flowering crop experiment will be grown on the orbiting laboratory. Growing Zinnias in orbit will help provide precursory information about other flowering plants that could be grown in space. "Growing a flowering crop is more challenging than growing a vegetative crop such as lettuce," said Gioia Massa, NASA Kennedy Space Center payload scientist for Veggie. "Lighting and other environmental parameters are more critical." The Veggie system was developed by Orbital Technologies Corp. (ORBITEC) in Madison, Wisconsin, and tested at Kennedy before flight. Veggie, along with two sets of pillows containing romaine seeds and one set of zinnias, was delivered to the station by SpaceX on the third cargo resupply mission in April 2014.